"Ridvan, Thank you so much! That is EXACTLY what I needed. You're a life saver! " "Hi Everyone, I've been fighting with this interaction for a few days and I really need some help. I feel like the solution is SO easy th..."
"HI Everyone, I LOVE this Characterused in the Storyline 2: Brain Think Template that Tom K. posted! (He just looks like he should be nam..."
Amy Gibbs replied to the discussion Have any good Rubber Stamp fonts? "Bruce, That one is great! Any idea how to get the lines that show up above and below the letters to "close" at the end to encase the word..."
"HI Everyone, What do you look for in an e-learning portfolio for a prospective new hire. My experience is LMS Admin and I also do course..."
Amy Gibbs replied to the discussion Making Storyline projects easy for SME review? "Hi Alexandros, How do you double slide width? I've seen products with larger than standard slide/screens but I haven't figured out ye..."
"HI Everyone, Due to some limitations with our in-house resources (i.e.- people & time), we are looking for a vendor selling Microsof..."
"Thank you Niyeda. I'm sorry to hear that you had such a hectic experience! 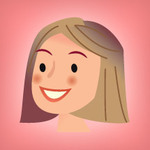 I asked around at a network of other new-to-the-game e-learnin..."
"Hi Everyone! I worked on my first ELH Challenge today! I'm interested in creating a portfolio site (preferably free and easy to use) wh..."
"Is there a way in (Storyline2) for me to create a list of about 15 items and then pair each with a drop down box containing 3 options? ..."
"HI Everyone, So we're new to e-learning and development is only half of my job (sometimes feels like much less) and we got a pretty larg..."
Amy Gibbs replied to the discussion What Equipment for Audio Recording!? "So I am realizing I'll need a boom arm stand if I want to use the Porta Booth and/or the Yeti shock mount. Can anyone recommend one tha..."
"HI Bill, Thanks! I think I'm going to try for the Blue Yeti but if that expense gets shot down I know the snowball is a good backup. ..."
"Hi Bob, I'm browsing this thread looking for some sound proofing (I guess maybe more intrusion) methods. I'm not entirely sure what i'm ..."
"thank you. I just submitted a case- fingers crossed we get to the bottom of it soon!" "HI, I hope everyone can see this- I've never been this deep in a thread before! I tried to open the Configuration.js file from the z..."
"We did not think to ask this question as reports came in but we are inclined to say that for the most part the answer should usually be y..."
"It is published as 1.2. I was not aware of the vast differences in 1.2 and 2004 until now. Looks like I need to do some research for futu..."
"I did test it in SCORM cloud and could not replicate the issue. I'm hoping to test in our PILOT system tomorrow using the debugging optio..."
Amy Gibbs started a new discussion What Equipment for Audio Recording!? "We're new to e-learning development and some of the feedback is that our audio recording quality leaves much to be desired. I had been r..."
"Hi All, We are encountering a somewhat complicated problem. If you love a challenge this is the thread for you! Background: This module..."
"Hi Everyone, I am trying to create a quiz question that asks the learner to choose the best feedback they would give based on statements..."
"HI Everyone, I'm looking for reputable resources for Storyline 2 Training. I know there are videos and discussion boards for this type o..."